Editor’s note: Capital One Spark Business, a small business-focused segment of the credit card giant, last year announced a partnership with the Society of Collision Repair Specialists geared at bringing Spark Business’ solutions and advice to the small businesses making up the majority of the auto body shops in America. Among the resources Capital One Spark Business offers is the free Spark Business IQ financial advice site, which shares guidance on a variety of topics of interest to such entrepreneurs. 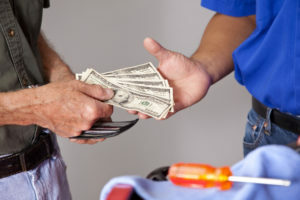 They’ve allowed us to reprint some of their content with minor edits, such as this April 17 piece on collision repair business cost management — the kind of benefit potentially necessary to secure technicians amid the current shortage. You were born to own a collision repair business. After years of dedication, you learned every process, line item and customer name. And just like that, the industry changed—and it changed again. Now, you’re no longer seeing profits that reflect your hard work. As frustrating as this may be, you’re not alone. While your business may be growing, so is the collision repair industry, and the challenge of keeping up with both can create gaps in your profit. To help repair your profit and maintain peak performance, consider your business’s relationship with two main sources of profit loss: operational costs and insurance claims. Training. With the speed that automotive technology is changing, it can be difficult to keep training up-to-date. “What people learned a year ago, sometimes two years ago, isn’t even valid anymore,” says AkzoNobel senior service consultant Tim Ronak. Training now must be done on a continuous cycle and align with more areas of specialty, such as aluminum, LED lighting and specialty paint weights for sensors. “It’s what do I have to invest in that labor resource to make that labor resource capable of being able to do the repairs,” says Ronak. Interested by what AkzoNobel’s Tim Ronak and Collision Advice’s Mike Anderson had to say? Why not attend their courses in Las Vegas during SEMA Week? Ronak and AkzoNobel colleague Greg Griffith will teach “Severity – Why it does not matter and what to do about it!” and “Which Certifications Are Right For My Business?”, and Anderson will teach “100% Disassembly Best Practices – with Parts Mirror Matching.” The sessions are part of the Society of Collision Repair Specialists’ Repairer Driven Education Series Oct. 30-Nov. 3. Register here for the individual classes or the series pass package deal. Equipment. Replacing equipment as technology evolves can also add up. For example, take welders, says Collision Advice owner Mike Anderson. “They almost become obsolete every two to three years, and now you’re having to buy another welder,” Anderson says. Whereas equipment used to have a permanent place in the shop, it is now seen as an evolving tool. And as Anderson points out, each manufacturer can require different equipment for the same job. Watch Tim Ronak’s tips on how to factor these costs into your pricing structure. Claims Cost. You may consider the cost of a repair as what it takes to put a vehicle back to pre-accident condition. However, for insurance companies the cost of a claim goes beyond the scope of the repair to also include car rental. The more time it takes to repair a vehicle, the more money the insurance company needs to provide to cover car rental for the insured. For the insurance company to offset this cost, they refer customers to shops that often promise quick turnaround time. If you’ve invested in training and equipment that can help decrease length of repair — such as diagnostic scans and parts prep — this may be a negotiating tool to show that fixing it right and quickly can help manage the overall claims expense. Rising Severity, or what it takes to fix a car. An insurance company’s main concern is mitigating claims costs. However, this can be costly for your business when a process is recommended, or even required, by the manufacturer. “You’ve got to be aware and educate yourself as to what it takes to fix a car right, so you can then justify it to an insurance company … so you can get reimbursed for that,” says Anderson. Watch Mike Anderson’s tips on getting reimbursed from insurance. Now that you know what to look for, it’s time to inspect your shop for profit leaks. Have your training and equipment costs risen over the past few years? Are you getting what you deserve from the insurance companies? Keep these questions in mind as you run your inspection. This article first appeared April 17 in Capital One Spark Business IQ. Read the original here. Spark contributor Kelley Bode is a Capital One writer with a strong background writing for small businesses. Capital One does not provide, endorse, nor guarantee any third-party product, service, information or recommendation listed above. The third parties listed are not affiliated with Capital One and are solely responsible for their products and services. All trademarks are the property of their respective owners.